An intimate afternoon to affirm, encourage and strengthen your calling to homeschool. Saturday, June 1st 2018 Carpinteria, CA || Signups open April 15th. I will open my little house by the ocean to 8 mothers from 11 a.m. to 5 p.m. Each mama will receive a questionnaire after signup that will help me to know where you’re at on your journey and what things are a struggle at the moment. I want to tailor our time together to reflect the needs of those present. Also, I will ask you what things do you feel are going really well! Come prepared to share and engage with the group because you have valuable encouragement to offer too. There will be ample time for Q & A, sharing, and praying for each other. I am a Christian, and the truths of what I believe have empowered me to mother and homeschool successfully. Connecting through faith is where I’m able to offer the deepest kind of encouragement. We will mingle and chat while making flower bouquets that you will take home—along with a little gift bag I’m preparing. Because—girls need girl stuff, amiright? Lunch will be provided, as well as coffee, tea, sparkling water and snacks. At 5 o’clock, for those who can still linger, a walk along the beach will wrap up our time together. I live only a 5 min. skip to the sand. Joining me with her crazy-adorable laugh and sunshine smile will be my dear friend, Emily Waecthler. (as long as she isn’t moving into a new home!) Emily has been homeschooling for 10 years with a 16 yr. old taking classes at community college and running her own business, and a 14 yr. old who is an avid reader and nature lover. Emily and I spoke together at Wild + Free Long Beach and she also runs the Makers Market for Wild + Free Franklin. 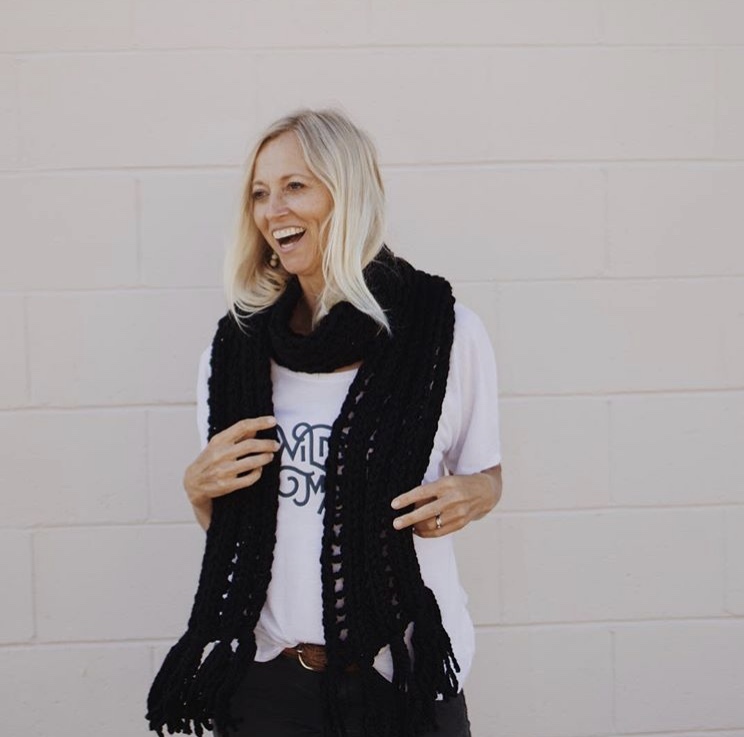 She is an avid surfer, knitter and a small business owner. Check out her Etsy shop, Blue Corduroy. Most of you are already familiar with who I am if you’re coming here from my @homeschoolingbyheart IG account. But—for those who aren’t, here’s a little re-cap. I’m the mama to 5 children, all grown and married except for my youngest who will be graduating high school this year. I have a 3 yr. old grand son who is expecting a baby sister in early May! I’ve homeschooled all my kids from K through 12th. I’m a conference speaker for bewildandfree.org and I also write for their digital bundle. I am so excited to see what the Lord will have in store for us during this special afternoon together! I don’t have all the answers, but I know that He is faithful to provide what we need when we keep our eyes on Him. I can’t wait to meet you and welcome you into my home!